This past Fall, a new student partnership bridged the disciplines of art history and art practice. HADSA, the History of Art and Design Student Association, and PAL, Pratt Artists’ League, joined forces for an off-campus show, the first in an intended series of collaborations. 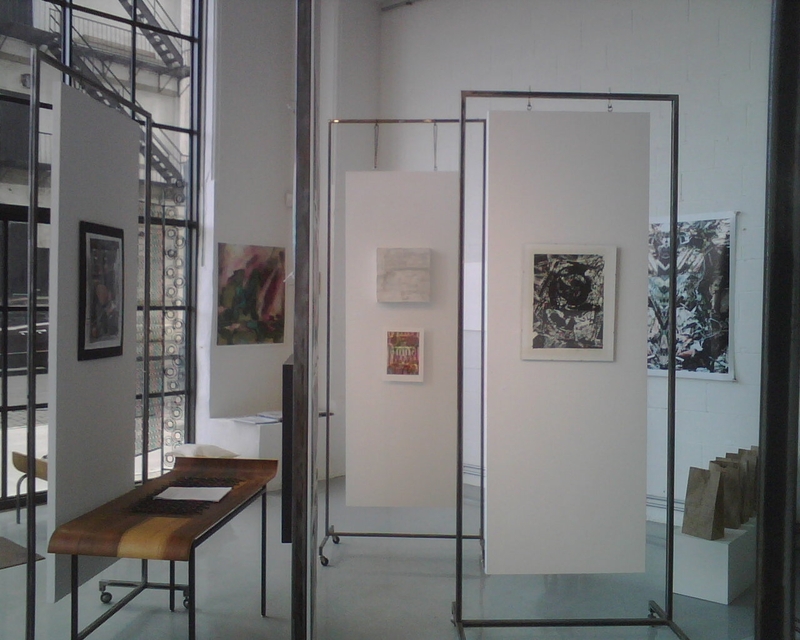 The month-long exhibition, Inflating/Refinement, took place in Dumbo at Aswoon Gallery in November of 2008. Susan Woods, gallery owner and furniture designer, rented her corner storefront to Pratt students on the condition that her furniture also be included in the display, thus adding a third element to the collaborative efforts. HADSA students Nina Accorsini, Komail Aijazuddin, Wendy Cullings, Dan Jakubowski, Tamara Kemp, Kim Macron, and Tracy Spencer formed the curatorial committee. Their concept, a two-part show reflecting the dichotomy of inflation and refinement, came as a response to the economic, political, and aesthetic developments of 2008. Working closely with PAL co-presidents Erté DeGarces and Dan Loudfoot-Simmons, the group was able to procure a gallery space and reach out to the MFA student body for artwork. The response was overwhelming; over 120 pieces of art were submitted. Both shows were well-received. The opening and closing receptions were active, crowded evenings of discussion between students and professors of both departments. This opportunity allowed History of Art students the unique opportunity of curating, jurying, and installing an exhibition of contemporary art. HADSA and PAL were proud to sponsor this exhibition and intend to hold similar shows in the coming 2009-2010 school year. Check their student blog at prattweekly.wordpress.com for updates and other HADSA and PAL events.